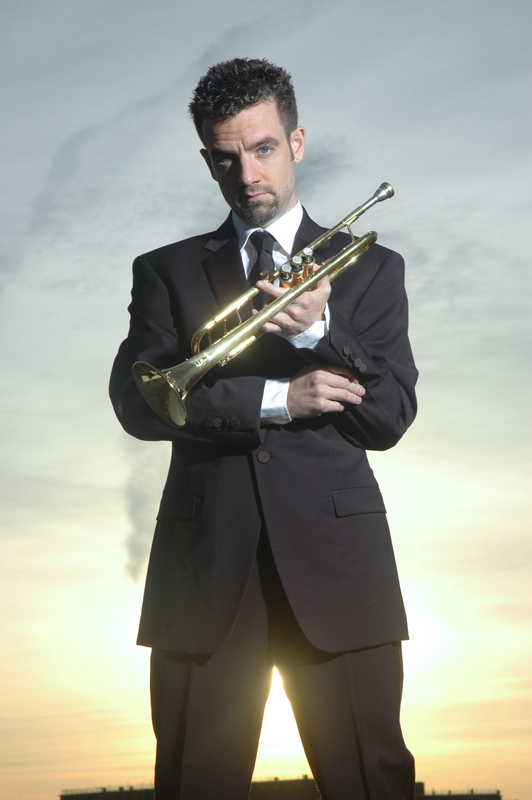 Trumpeter JOE BURGSTALLER has thrilled audiences throughout the world with his stunning virtuosity, captivating sensitivity and engaging personality. 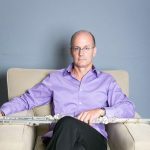 Formerly with CANADIAN BRASS (8 years as a featured trumpeter/arranger) and the avant-garde MERIDIAN ARTS ENSEMBLE (6 years), he was also one of the all-time most popular SOLOISTS at COLUMBIA ARTISTS’ COMMUNITY CONCERTS (alumni include Van Cliburn and Heifetz), performing over 60 solo concerts every year. Burgstaller has performed in front of more than 40 orchestras (Philadelphia, Minnesota, Detroit, Houston, Baltimore, New Jersey, Virginia, et.al), in more than 50 Music Festivals, and has performed and taught at over 80 universities, conservatories and colleges. 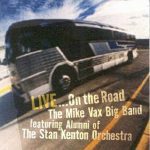 His extensive discography includes his solo CDs License to Thrill and The Virtuoso Trumpet and three Top-10 Billboard hits with Canadian Brass. 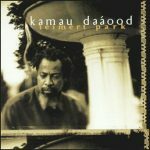 His last two CDs with his crossover group BM4 were Top-50 on the JazzRadio charts and the Roots Radio Report (under Paul Simon but right above the Beastie Boys). Mr. Burgstaller tours worldwide as a soloist, with his hit crossover group BM4 (BurgstallerMartignon4), with the revolutionary NY Brass Arts Trio, and as a clinician and teacher. He is on the faculty at THE PEABODY INSTITUTE (The Johns Hopkins University) in Baltimore, MD, where he teaches trumpet, chamber music and a special Performance Class series for all instruments called “Change Your Mind, Change Your Playing”. Every summer he teaches at the MUSIC ACADEMY OF THE WEST in Santa Barbara, CA. Joe is a former full-time member and featured trumpeter with Canadian Brass, and holds the third longest tenure on trumpet in the history of that famed group. Joe toured worldwide with the Brass, performing in recital and with orchestra (Philadelphia, Minnesota, Detroit, Houston, Baltimore, New Jersey, Seattle, et al.) and contributed arrangements to the group as well. Recordings that spotlight Joe include a Juno-nominated release, Magic Horn, (AllMusicGuide.com heralded Joe’s “superb set of arrangements” of Astor Piazzolla), BACH (includes his pyrotechnical arrangement of the Bach-Vivaldi Concerto in D), Legends (featuring his La Virgen de la Macarena — “Unbelievable Virtuosity” — DigitalIndie.net) and High Society (“Burgstaller’s piccolo playing throughout this album is no less than perfect… I had to pinch myself for thinking that I heard a high clarinet!” – Brass Herald Magazine). 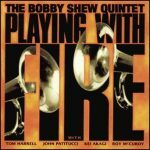 Three Canadian Brass CDs featuring Joe became Top-10 Billboard hits. His extensive discography includes his solo CD The Virtuoso Trumpet and three Top-10 Billboard hits with Canadian Brass. His first release with BM4, Mozart’s Blue Dreams, vaulted immediately into the Top-50 JazzRadio Charts, playing on over 100 radio stations. Their followup CD Bach’s Secret Files charted for several months on the Roots Radio Report (under Paul Simon, but right above the Beastie Boys). 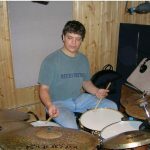 He is an active arranger and composer, and is in his second decade as a Yamaha Performing Artist. Joe’s hobby is video production, and his inventive music videos for both Mozart’s Blue Dreams and Bach’s Secret Files were debuted worldwide by Yamaha America and Yamaha Europe to an audience of over 10,000 viewers in a special industry-leading video-podcast release. 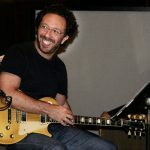 Joe co-leads the crossover jazz quartet BM4 (BurgstallerMartignon4), a New York City-based crossover group that features Grammy and Oscar-nominated musicians. Their first recording Mozart’s Blue Dreams & Other Crossover Fantasies debuted directly into the Top50 JazzRadio charts and continues to receive rave reviews (“Ethereal moments of true beauty and genius… hip and approachable.” — AllAboutJazz.com; “Stunning!” — JazzNotes). BM4 records for Summit Records (North America) and CARE Music Group (Europe). Their latest release, Bach’s Secret Drawer & More Crossover Fantasies was released in April 2011, and charted for several months on the Roots Radio Report (under Paul Simon, but right above the Beastie Boys). 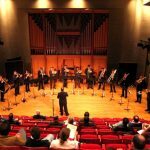 Mr. Burgstaller teaches trumpet, chamber music and a special 8-part series of all-instrument performance masterclasses at The Peabody Institute of the Johns Hopkins University in Baltimore, Maryland. Joe has built a groundbreaking one-of-a-kind trumpet studio that prepares their students for the demands and reality of today’s music world. His teaching emphasizes creativity, connection, versatility and entrepreneurship, and he combines the best of traditional techniques with an innovative mental training approach that has its roots in the field’s modern breakthrough discoveries of the last two decades. Joe was a child prodigy, beginning the cornet at age six. By age twelve he was improvising jazz and soloing with area bands and jazz clubs, and by fifteen was the youngest professional in the Virginia Opera Orchestra. He received both his Bachelor’s and Master’s Degrees from Arizona State University (studying with Regents’ Professor David Hickman). Other teachers and mentors include Anthony Plog, Stephen Carlson, Jonathan Greenburg, Gary Gompers and David Fedderly. Joe was awarded Arizona State University’s Inaugural “Distinguished Alumnus Award”, and the Inaugural “Outstanding Alumnus Award” from Eastern Music Festival. Joe Burgstaller is a Yamaha Performing Artist.